Welcome to the portal for representatives from the Royal Household, Her Majesty’s Government, Members and Officers from the Houses of Parliament, the Home Civil Service and the Diplomatic Service. Barrow Hepburn & Gale are the official supplier of Despatch Boxes (Red Boxes) and other leather goods to The Sovereign, Her Government and official representatives. We have supplied boxes and official leather goods (including official ministerial folders) for many generations. The Cabinet Office provides guidance to Departments on the appropriate use of despatch boxes as part of HMG’s Security Policy Framework. Despatch boxes, which offer a higher level of security are required to be used for the transportation of information/correspondence with a high classification (Secret, Top Secret and STRAP). Although boxes are traditionally supplied in red, non-red boxes can also be supplied for a higher level of discretion and for other officials and crown representatives. Only despatch boxes supplied by Barrow Hepburn & Gale meet the requirements of the security services for the transportation of classified material. To ensure the integrity of the supply and provision of the box, please contact Barrow, Hepburn and Gale directly (at the email address below).  For all HMG enquiries, please contact: government@barrowhepburngale.com. Mr Jason Christopher Kelly, formerly of the Foreign and Commonwealth Office has taken up a significant role at Barrow, Hepburn & Gale. He will act as liaison and point of contact between the company and British and foreign governments, heads of state and other officials. During a successful and eventful career within the diplomatic and security sectors of the British Government, Jason worked on counter-terrorism in the UK and the Middle East and nuclear non-proliferation. He curated the centenary exhibition for the Secret Intelligence Service (MI6). On leaving the Foreign and Commonwealth Office he co-curated an art exhibition marking the centenary of Aston Martin and an art exhibition to celebrate 50 years of the James Bond films. Jason went on to found and run a London-based luxury brand, specialising in gentleman’s accessories. He is a champion of British heritage and craftsmanship, keen to promote sartorial refinement and specialist high quality British manufacturers. He shares the core values and vision of Barrow, Hepburn & Gale. He brings his experience of working within government and of managing the delicate relationships between government and the private sector. He came highly recommended and is considered a valued asset for the present and future of the company. Barrow Hepburn & Gale supply the red ministerial folders. For all HMG enquiries for folders, please contact: government@barrowhepburngale.com or use the HMG Contact Form.